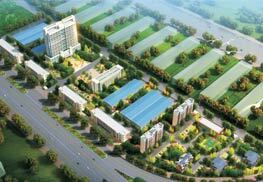 Warranty - Shenzhen SOFARSOLAR Co., Ltd. The standard warranty period for SOFARSOLAR inverters is 60 months (5 years) from the date of purchase. Our end customer needs to provide the valid purchasing invoice to verify the date of purchase. 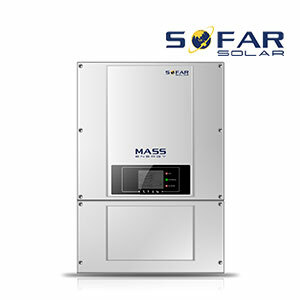 If our end customer fails to provide the valid purchasing invoice, the standard warranty period for SOFARSOLAR inverters is 63 months (5.25 years) from the date of production (it’s on the SN) from Shenzhen SOFARSOLAR Co., Ltd.
Our end customer can also purchase an extension of this SOFARSOLAR standard warranty during 12 months from the date of manufacturing. Refer to the SOFARSOLAR price list for further information. In the case of a faulty inverter during the agreed SOFARSOLAR warranty period, please report defective inverters with a brief error description to our service hotline for registering and send your warranty card to our service department by fax/email to process the warranty claim. 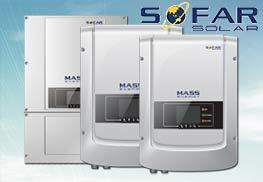 You may also contact your dealer (SOFARSOLAR authorized dealer or distributor) or installer if your unit is defective or faulty. Product Model (e.g. SOFAR 20000TL) and product serial number (e.g. SC1ES520E99001). A copy of the valid purchasing invoice and warranty card of the inverter. Error messages on the LCD screen (if available) and additional information about the fault/error. Detailed information about the entire system (module, PV system diagram, etc.). Documentation of previous claims/exchanges (if applicable). If the inverter needs to be exchanged, the remainder of the warranty period will be transferred to the replacement unit, i.e. the warranty period of the original device will continue. In this event, you will not receive a new warranty card, and this replacement will be registered by SOFARSOLAR. If the remaining warranty period is less than 6 months, you will automatically receive a 6-month warranty period for the replacement unit. 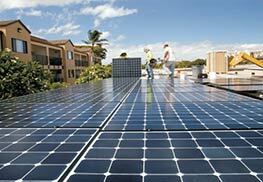 The warranty includes the cost of work and material necessary to regain faultless functioning inverters. All other costs, particularly transports, travel- and accommodation cost of SOFARSOLAR personnel as well as costs of your own staff are not included in the warranty. Furthermore, claims for compensation for direct or indirect damages arising from the defective inverter are not covered by the warranty. Faulty inverters and components should be returned to SOFARSOLAR, they must be packed in their original or equivalent packaging for transportation. SOFARSOLAR keeps the right to arrange the warranty service for end users and to use third parties for performing warranty services. All warranty services are free of charge only if the action is agreed with SOFARSOLAR in advance. 12) The defect has been caused by force majeure (violent or stormy weather, lightning, overvoltage, fire etc.). This warranty is without prejudice to your rights under the statutory law, including but not limited to warranty rights in relation to the seller, i.e. if applicable rectification, reduction of the price, rescission of the sale and damages. All demands from or in connection with this warranty are subject to Chinese law, Shenzhen is the exclusive place of jurisdiction and all disputes arising from or in connection with this warranty should be submitted for arbitration to the South China International Economic and Trade Arbitration Commission. This warranty is provided in addition to other rights and remedies held by a consumer at law. Our goods come with guarantees that cannot be excluded under Australian Consumer Law. You are entitled to a replacement of refund for a major failure and for compensation for any other reasonable foreseeable loss or damage. You are also entitled to have the goods repaired or replaced if the goods fail to be of acceptable quality and the failure does not amount to a major failure. 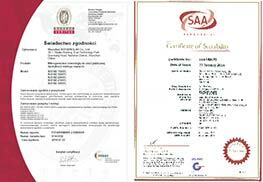 For SOFARSOLAR inverters you may apply for a warranty extension during 12 months from the date of production from SOFARSOLAR by providing the serial number and copy of the warranty card of the unit. SOFARSOLAR may reject any application received which does not meet the date requirement. Extended warranty period can be purchased to 10, 15, 20 or 25 years. Refer to the Warranty Extension Order Form for more information. Once the purchase of the warranty extension has been processed, SOFARSOLAR will send the warranty extension certificate to the customer confirming the extended warranty period.